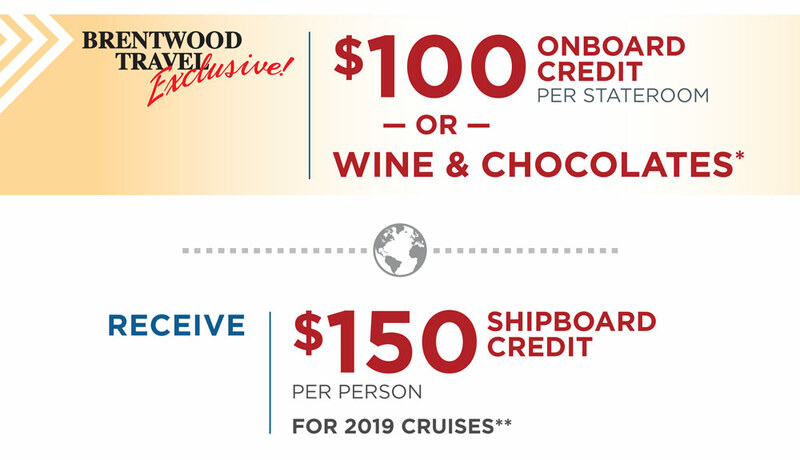 *New bookings only made by 10/31/18 will receive $100 onboard credit OR wine and chocolates in their stateroom. Combinable with other offers. Other restrictions may apply. **New bookings only. Combinable with other offers. 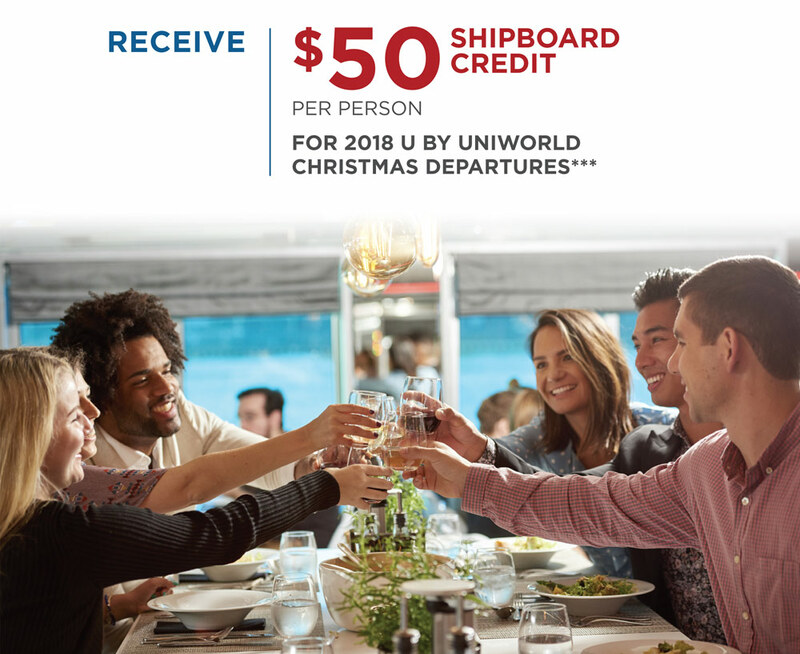 Not valid for U by Uniworld sailings. Other restrictions may apply. ***New bookings only made by 11/16/18. 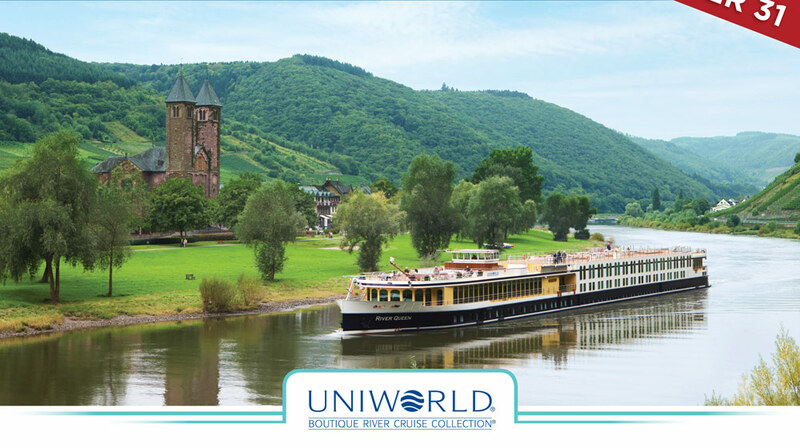 Valid on select departures only. Other restrictions may apply.